Like you could find these elsewhere? They're 7/8 of an inch long. and totally delectable. I love the difference in color from the stud to the dangling stone. 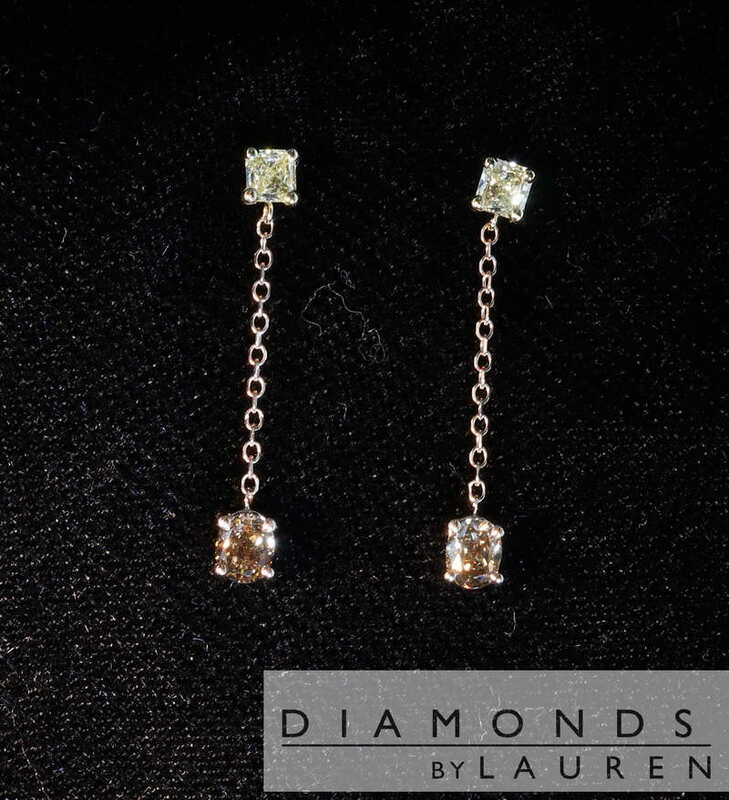 We buy large parcels of natural fancy colored diamonds from specialized cutters and engineer earrings like these.